Searching for the perfect piece of furniture? 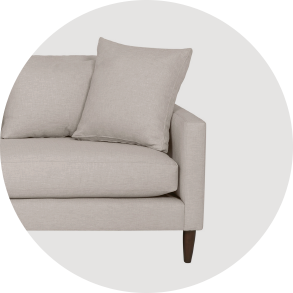 This Canadian-made custom style is available in multiple configurations and your choice of fabrics. Pillowy perfection! The Nixon Sofa is a plush place to sit back and relax. Seat cushions have a foam base with a soft foam topper for sink-in comfort. 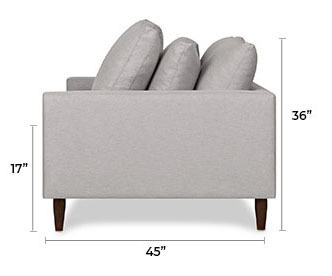 *Custom furniture pricing is subject to size, configuration and fabric selection. Please visit your nearest Urban Barn store for more information. Find the perfect style and fit for you – remember to get comfortable! Lounge on our custom sofas like you normally would at home or curl up as you might in your reading chair. Don’t be afraid to lie down and make yourself right at home! 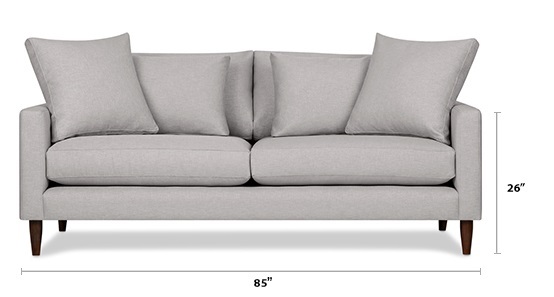 Select the made-for-you configuration and size that best maximizes the use of your space. 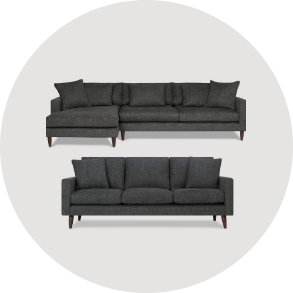 Our most popular configurations include a standard sofa, sofa chaise, chair, and sectional. Whether you have a large or small space to furnish, sectionals are a great way to maximize your space. After you’ve selected the custom piece of furniture that suits your style, and the size and shape that will maximize your space, it’s time to consider fabric. There are many factors to consider when choosing the right fabric for your custom piece - it’s not all about looks!